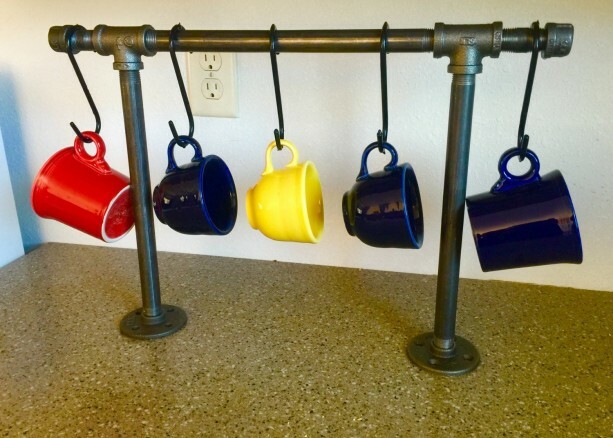 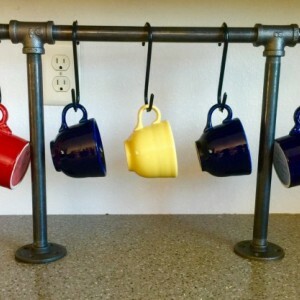 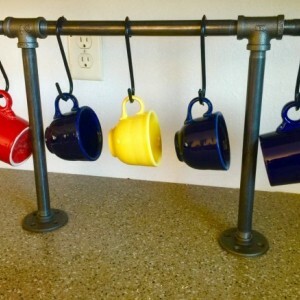 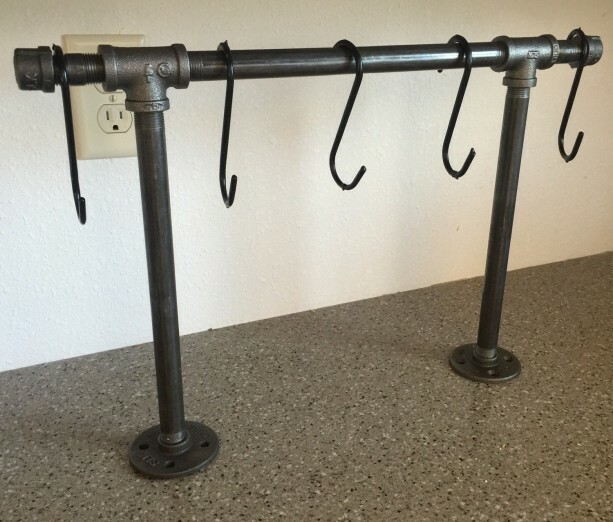 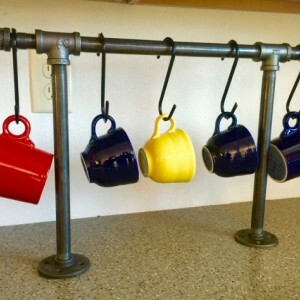 Unique Industrial black pipe Coffee mug holder, Coffee cup rack/hanger, Coffee mug storage/ Coffee stand. 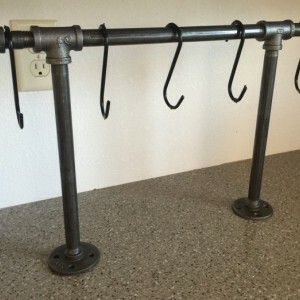 Made of 1/2" industrial construction grade iron black pipe. 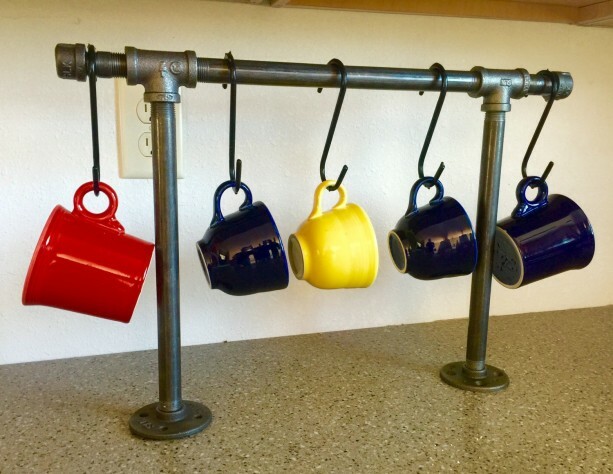 5 black S hooks included (coffee mugs not included). 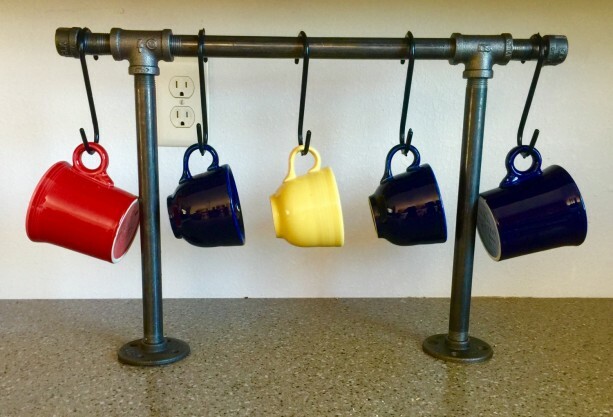 Coffee rack measures 13 3/4" tall x 21" wide and weighs approximately 3 pounds. 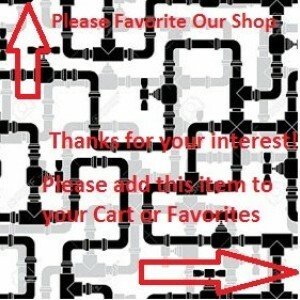 Some assembly requiredPlease reference the Q & A section in my Etsy shop for instructions on cleaning and more details regarding the black pipe products sold in my store.